Save on your utility costs as this property is Energy Star Certified! HOME WARRANTY included. MLS#3467085. Engel & Völkers South Charlotte. Baxter Village - This is a rare find with far too much to list! MLS#3467685. Allen Tate Providence @485. Community offers a two-story clubhouse, Olympic sized pool with lazy river, water slides and splash park! MLS#3467815. Essex Homes Southeast NC Inc.
Riverchase - Located near the New Promenade at Carolina Reserve and Redstone shopping centers! MLS#3464580. Allen Tate Fort Mill. Reserve at Gold Hill - - Easy multiple access to Uptown, Airport, County/City parks, Lake Wylie and Carowinds. MLS#3467098. ProStead Realty. This home offers 4 bedrooms, front porch and porch on backside of home. Great location. MLS#3467243. Stephen Cooley Real Estate Group. Also includes an unfinished,walk-out basement for additional storage. MLS#3457123. Fielding Homes LLC. Special features also include full irrigation in the yard and an extra water meter. MLS#3466339. Keller Williams Fort Mill. Come enjoy the leisure lifestyle of Baxter Village! MLS#3466693. Better Homes and Gardens Real Estate Paracle. The second floor offers 4 bedrooms(inc. master), 3 full bathrooms, loft, and a bonus room that is currently designed as a MEDIA ROOM. MLS#3466204. Costello Real Estate and Investments. Community offers a two-story clubhouse, Olympic sized pool with lazy river, water slides and splash park! MLS#3466185. Essex Homes Southeast NC Inc.
Community offers a two-story clubhouse, Olympic sized pool with lazy river, water slides and splash park! MLS#3466280. Essex Homes Southeast NC Inc.
Reserve at Gold Hill - Located right near clubhouse and pool! MLS#3466106. Allen Tate Providence @485. 10-5:30 Fri. and Sun. 1- 5:30 MLS#3462028. Fielding Homes LLC. Enjoy a second floor, large laundry room, owner's suite, three additional bedrooms, and a loft. Many upgrades throughout! MLS#3457328. Fielding Homes LLC. Massey - $7,500.00 in Free Options for a Limited Time! MLS#3465236. NVR Homes, Inc./Ryan Homes. Massey - Community features huge clubhouse and pool with relaxing lazy river. MLS#3465196. NVR Homes, Inc./Ryan Homes. Massey features resort-style amenities including a massive clubhouse, pool with relaxing lazy river, fitness center, and movie theater. January special pricing! MLS#3465220. NVR Homes, Inc./Ryan Homes. This home is turnkey & even has the inspections completed. Welcome home! MLS#3464565. Keller Williams Fort Mill. 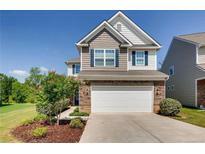 The Forest At Fort Mill - .this home has been METICULOUSLY MAINTAINED! MLS#3462961. Bliss Real Estate LLC. All of this in Top Rated Fort Mill School District! ! MLS#3464548. LGI Homes NC LLC. Four Seasons At Gold Hill - Come see the nice maintenance free yard awaiting your spring garden! $3,000 updating/counter-top credit now included! MLS#3463150. RE/MAX Executive.